School will soon be in session for President Trump as he prepares for an potentially impending interview with Special Counsel Robert Mueller. 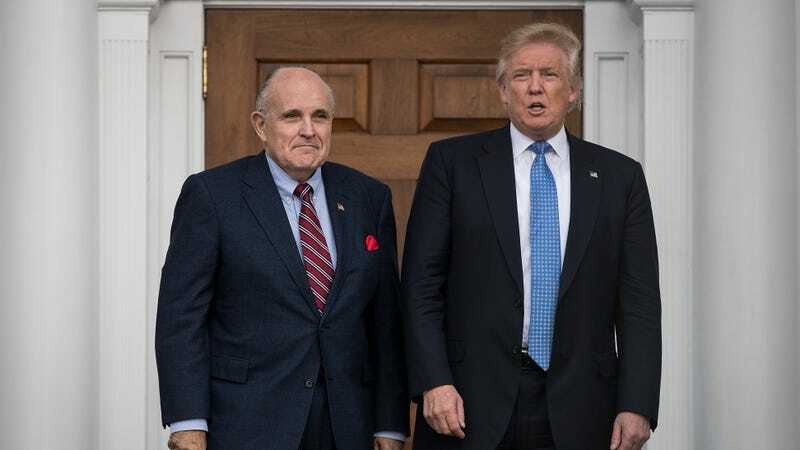 In an interview, Trump attorney Rudy Giuliani revealed that these summer sessions will mimic the style of Trump’s debate prep in 2016 and will take place off the clock, like over some rousing rounds of golf at a Trump golf course. Nothing says I’m-taking-this-incredibly-seriously-as-to-not-perjure-myself quite like preparing for an interrogation over golf. “You can’t take a president away to Camp David and just prepare him for two or three weeks,” Giuliani said in an interview. Mueller has already rejected Trump’s lawyers’ request for Trump to reply to interview questions in writing, but despite that setback they’re optimistic that this ordeal won’t end with a Trump indictment. This will likely come as a massive blow to my mom, who has a coffee mug that says “Mueller Time!” on it. Mueller Has Subpoenaed Trump & Friends&apos; Campaign Correspondence, Which Certainly Sounds Bad For Trump!